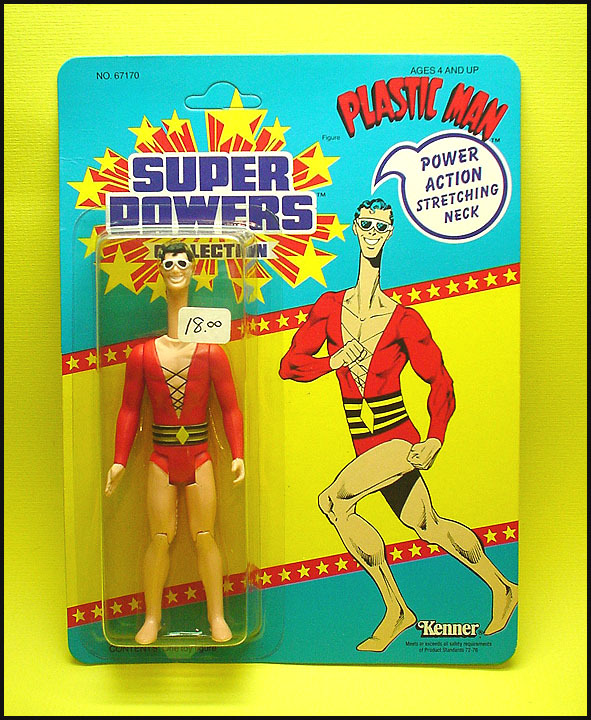 Kenner produced a wonderful rendition of Plastic Man featuring a "Power Action Stretching Neck" action mechanism for inclusion in its 3rd series Super Powers action figure wave. While many Super Powers figures share similar internal mechanisms, Plastic Man's was fairly unique. 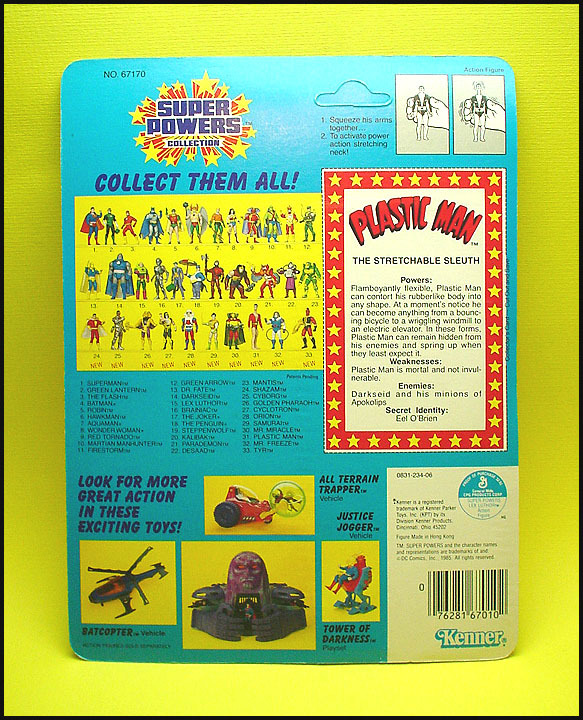 Since the Super Powers line was cancelled upon release of the 3rd series, the offerless 33-Back card represents the sole Kenner packaging type for Plastic Man and his other 3rd series companions. Interestingly all three 3rd series characters from the Estrela line (Cyborg, Shazam, and Plastic Man) came packaged with a mini-comic for the character. Both Kenner and Kenner Canada abandoned the mini-comic premium during the 3rd series release, so these three mini-comics are completely exclusive to the Estrela line. Estrela carded figures surface quite infrequently on the collector market making the Estrela Plastic Man an extremely desirable piece.